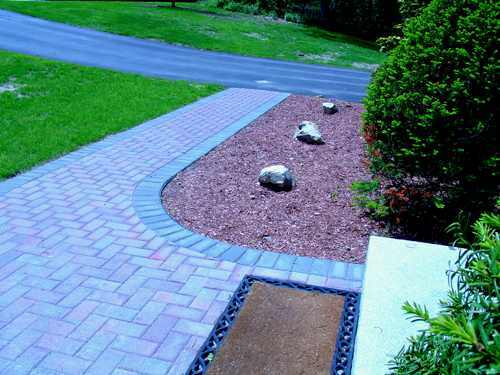 New technologies in interlocking pavers make the choices endless for color, design and patterns. 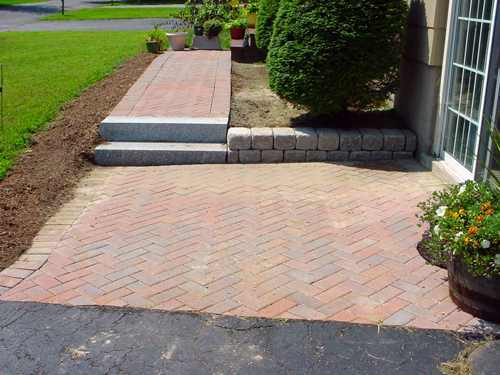 Interlocking pavers work as one unit, distributing weight, yet having the ability to flex as a whole unit which is especially important in New England weather. 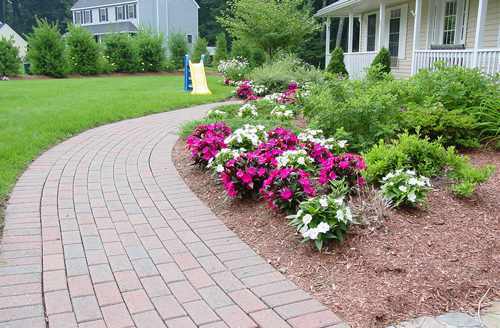 Walkways are an important feature in our landscapes. 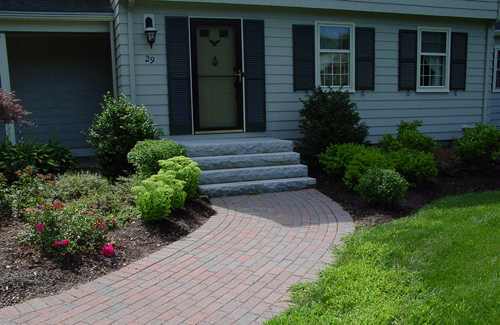 Tompkins will make your walkways a warm, welcoming entrance to your home. 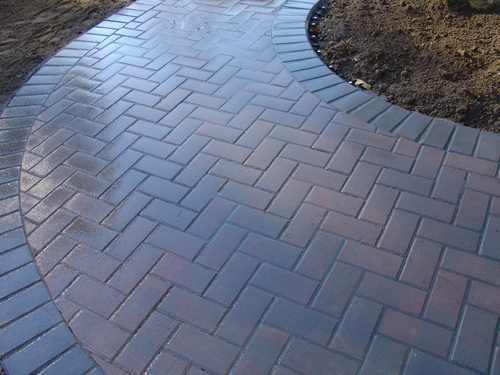 Besides being functional and beautiful, pavers are the most durable and maintenance free product for your walkways. 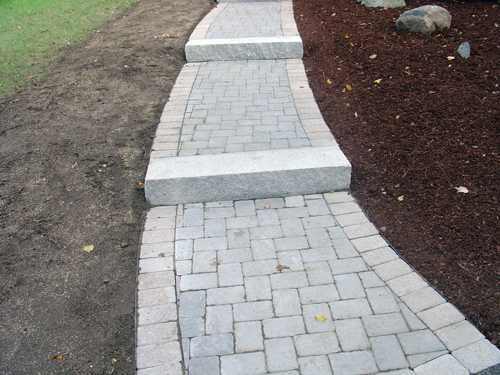 Landscaping walkways also need to be safe and easy to traverse. Designers love to see opportunities where a surprise can await you around the next bend. 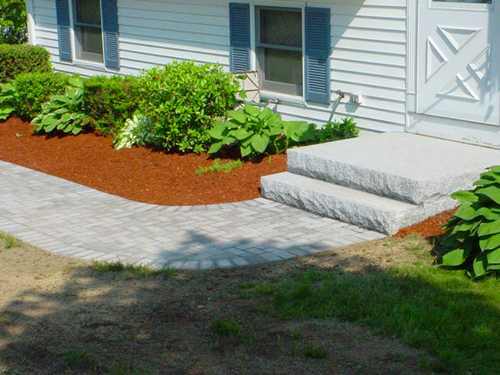 What kind of opportunities does your yard present for an interesting walkway? Just having a walk from the driveway to the front door isn’t enough. We want to enjoy ALL of our property. 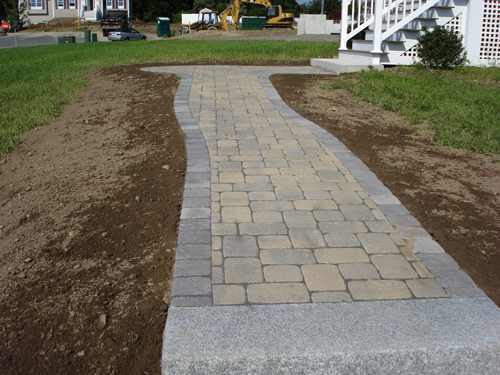 Walking through our property on a path is better than just going over grass or through brush. Perhaps you have a wooded area where there is a river down the bank. 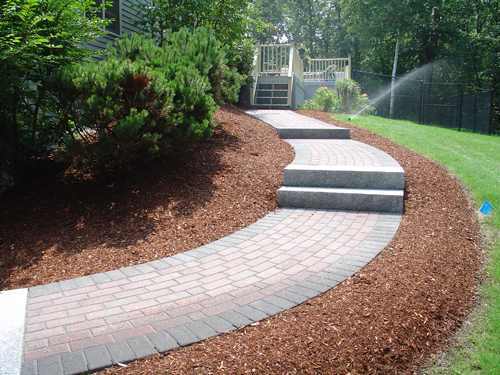 How about creating a woods path, with wood mulch as the walking surface, and flat stones as steps? 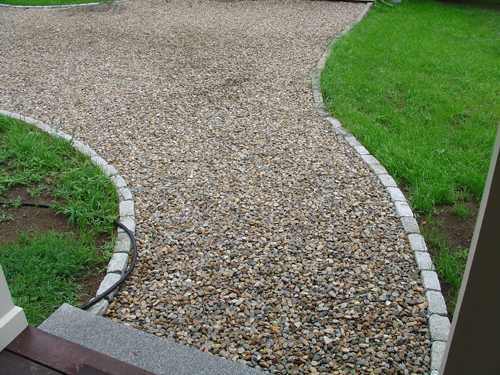 You can create your own ‘hiking’ path. 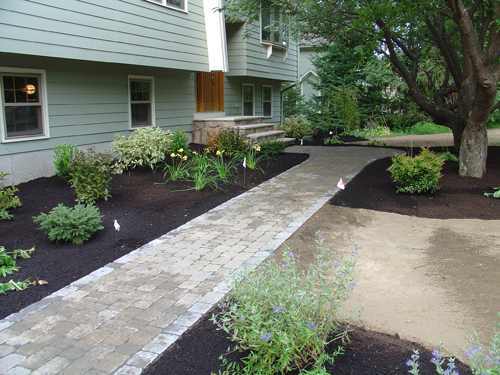 All along this path, you may want to plant woodland flowers such as trillium. 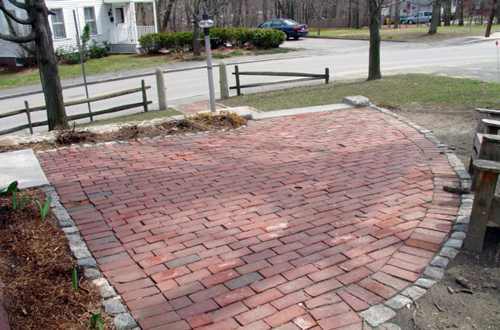 Or, maybe your yard has several buildings on it. You can create a path to these buildings where you normally would walk. 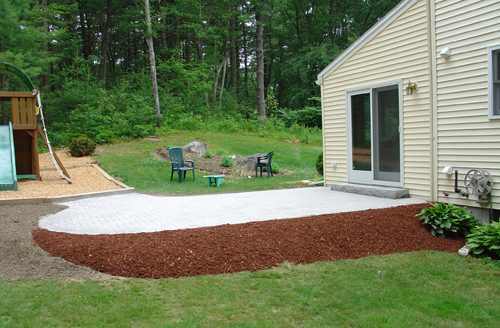 This creates the "bones” for even more landscape design opportunities. 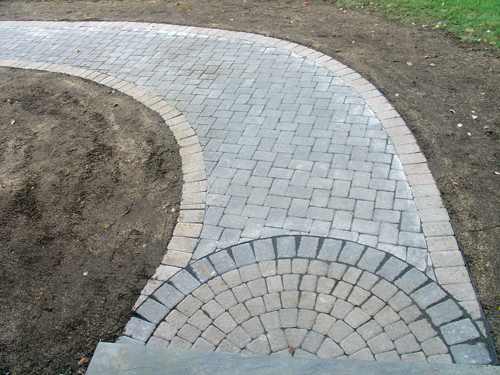 Maybe your walks could incorporate a ‘hub’ type junction where several paths converge, and this could create an opportunity to make a planting bed, or even a small water feature in the center island of these walks. 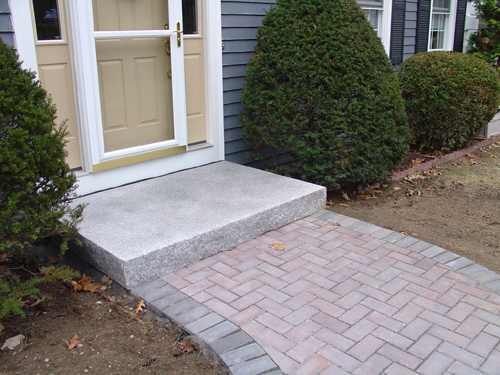 Whatever kind of walk you need or want, we suggest that you always consider a walkway to be a ‘design opportunity’. Why settle for just getting from one place to another when you can also enjoy that walk? Why not walk past beauty, and frame your views? 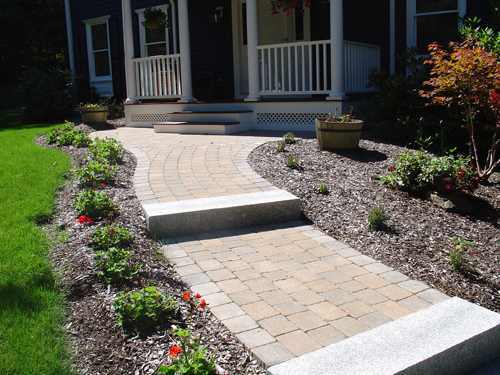 Landscaping walkways truly are one of the backbones in good landscape design.